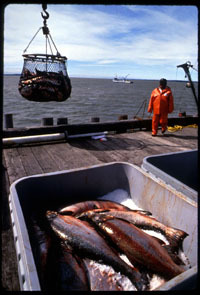 Then, in 1997 and 1998, without warning the salmon did not come back. The returns were so dismal that the region was declared a federal disaster area. Fisherman went into heavy debt, fishing communities suffered and seafood processors in Bristol Bay cut back their operations. 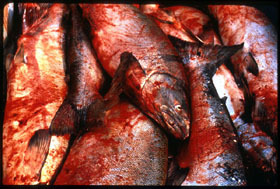 Paradoxically, last summer Mother Nature answered prayers with a strong salmon run. 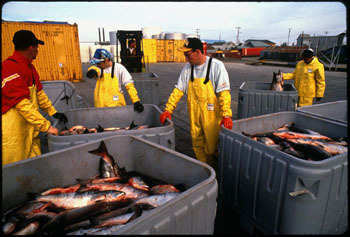 However, seafood companies had cut back so extensively during the previous two years that they did not have the capacity to process all the salmon being harvested.